Joe and Josée’s Journey started in 2014 when we decided that life was to short and that we wanted to see the world while we were still young and healthy. But how, was the question! We had to find a way to travel, that we could afford and that was relatively comfortable. It all came together one day when we saw a You Tube Video on Facebook about a German couple that had originally left for an 18 month road trip through Africa and was still on the road 23 years later. EUREKA! That’s when we discovered a new word that would open the doors to a whole new world: OVERLAND. It was tailor-made for us. Since Joe was already retired, I quit my job! We put our dream home for sale, sold and gave everything we owned and registered for the OVERLAND EXPO EAST in Asheville NC in September 2014. We took a bunch of classes, met wonderful people but mostly we got inspired and it confirmed that we were not crazy. Our house sold in January of 2015 and we put a deposit on our new home, a V1 XPCamper. There was no turning back! Our first journey is taking us through the Americas following (with as many detours as possible) the Pan-American Highway from Alaska to Argentina. We left Florida on May 5, 2015, in our truck, attended the OVERLAND EXPO WEST in Flagstaff, Arizona. We tent camped and stayed in Motels along the way until we picked up our XPCamper in Grass Valley, California on August 26, 2015 and have been enjoying the Camper Lifestyle ever since! Joe in the small town of Juayua, El Salvador (September 2016). Joe Parsons, born 1952 in Philadelphia, PA, USA. I have been retired since 2008 after a 35 year career with the US Air Force and US Customs and Border Protection with the exception of a one year contract in Afghanistan in 2011. Throughout my career I have lived in Turkey, Japan, the Bahamas, different Northern and Southern US border cities and 20+ years in Miami, Florida. 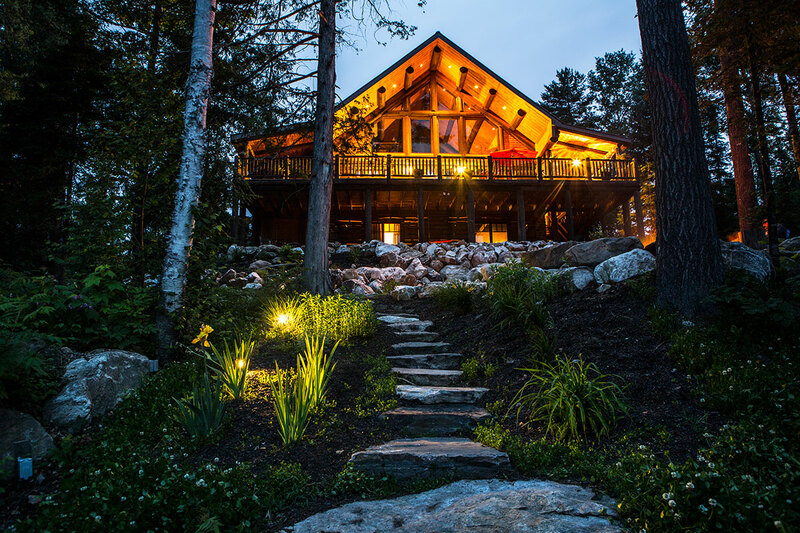 My last assignment with US Customs was in Montreal Canada, where my wife and I decided we were going to retire and build our dream home on a beautiful lake in Western Quebec. After 8 wonderful years things were about to change! We build our dream house on Blue Sea Lake in Western Quebec, Canada and sold it in January 2015 to pursue another dream: travelling the world! It’s all about living your dreams! Josée on the roof of the Cathedral in Leon, Nicaragua (October 2016). Josée Larocque Parsons, born 1963 in Ottawa, Ontario, Canada. I grew up in a small town in Quebec and I got the travel bug when I was 12 years old, the summer my mom took me on a 3 week trip to Spain and Morocco. Since, I have travelled to many countries in Africa, Asia, Europe and the Americas. I left Quebec at the age of 29 in search of adventure, I found it in Miami Florida, where I worked in the hospitality industry for 13 years and where I met my husband and partner, Joe. In 2005 we moved to Canada and build our dream home and thought we would be happy for the rest of our lives on the shore of a beautiful lake surrounded by nature. After 8 blissful years, I could no longer ignore my need for adventure so in 2014, I quit my job and Joe and Josée’s Journey started taking shape. Joe – Met you in Safeway parking lot in Terrace B.C. Just really hope you make it to Telegraph Creek as it is well worth the side trip. One of the items about Telegraph Creek is that when they built the Alaska Highway in 1942 they brought equipment into Telegraph Creek, took it to Dease Lake and barged it up Dease Lake and then made the rest of the trip into the Yukon to start building the highway from the center also. Lots of history in that area. Also think of going into Atlin when you get to the Yukon (turn at Jakes Corner). Anyway good talking to you and have a safe journey. Floyd Wickie Terrace BC. Joe – We met you at your Lake Louise campsite in Banff National Park. We enjoyed your life story and your future travel aspirations to travel down to Patagonia. You have already been to so many places but are top number one recommendation is anywhere in the Eastern Sierra’s. As residents for well over 20 years in Bishop, CA we know you can’t go wrong. Some of the more non-traditional places to visit our Keough Hot Springs, Spark Plug Mine, June Lake, and Bodie in CA. In nearby Esmeralda County, Nevada the ghost town of Gold Point, Fish Lake Valley Hotsprings, and just about anywhere off a paved road. If you are coming through Idaho considering the City of Rocks National Monument and nothing beats the Tetons. Good luck on your adventures. Lynn Oliver and Cheryl Seath, two geologists waiting to retire. I ended up buying Marc’s XP1 demo because I didn’t want to wait a year for a new one. Picked it up in Sept 2015 and planning on Alaska in August 2016 after doing a lot of back road fishing in the Sierras first. My truck was probably there in the shop when you picked yours up. Hi Greg! Hope you are enjoying your XP as much as we are. Thanks for the tip about the pump. We have been in Baja for over a month free camping on beautiful beaches. We will be ferrying to mainland Mexico in a couple of weeks. Bonjour Josée, j’ai su que toi et ton conjoint étaient en voyage autour du monde. Bravo et profitez en au maximum. C’est ton frère qui m’a donné de tes nouvelles. Kelli and I met you at our little pizza shop (Post Alley Pizza) in Seattle. So glad to see your living your dream and sharing it with us. Hi Marc! Yes we remember your pizza shop! Seattle was a great stop on our journey! Choosing a Nomadic lifestyle is the best decision we ever made. Thanks for your comments! We met Alicia & Paul (fellow Australians) in southern Ecuador yesterday. Alicia mentioned you were in Colombia, heading slowly South and suggested we may meet you since we’re in Ecuador heading slowly North. We are always on the lookout for fellow overlanders. I love your story – it sounds a little like our own back in 2005. We really enjoyed the time we spent with Paul, Alicia and the kids! We have our grandchildren with us until mid August and we will be extending our visa for another 3 months in Colombia and would love meeting you so keep in touch, I sent you a friend request on Facebook! what are those camp chairs i see in a lot of your pics? http://www.kermitchair.com pricey but worth the investment!